The Frame shoe cabinet from by Lassen is a great addition to the Frame storage units. Thanks to its cubic frame, it fits in perfectly with the rest of the series and is the perfect size to store shoes. Whether in the hallway, bedroom or dressing room, the Frame shoe cabinet discreetly blends into any environment and is extremely space-saving. When mounted to the wall, the shoe cabinet takes up no floor space, making it an ideal storage solution for small hallways. It is made from a frame made of painted steel, MDF and melamine. Available in various colours, a shoe cabinet can be found for every taste, interior style and existing Frame modules. 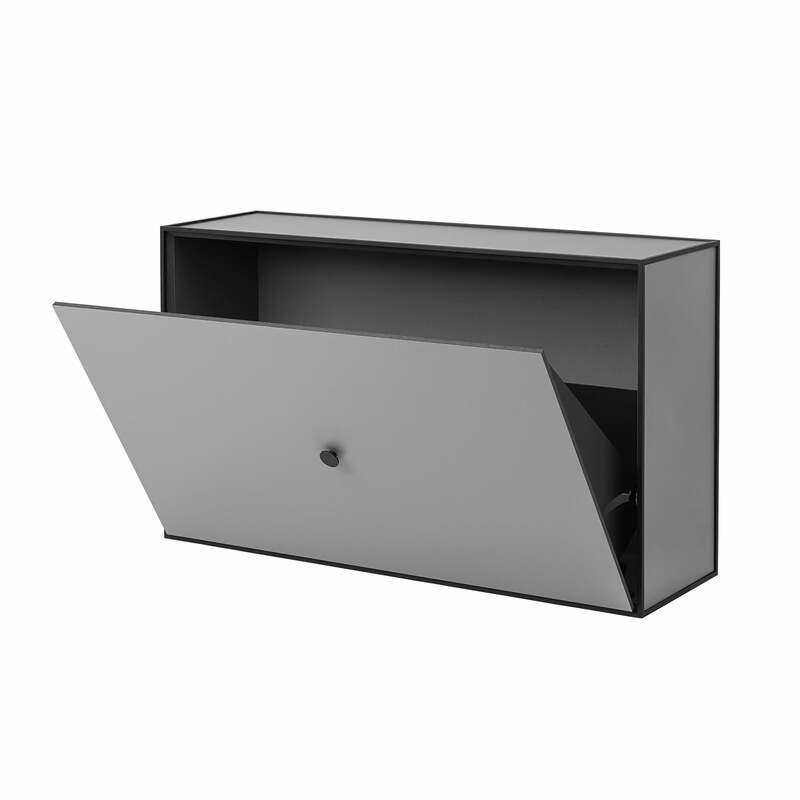 Isolated product image of the Frame shoe cabinet from by Lassen in dark grey. 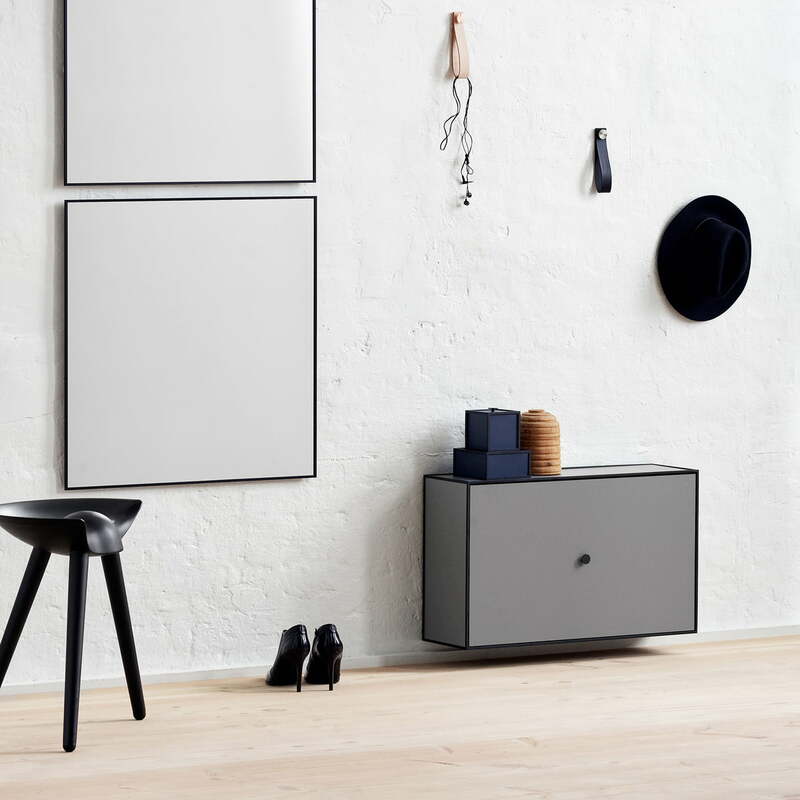 The Frame shoe cabinet is made from a frame made of painted steel, MDF and melamine. 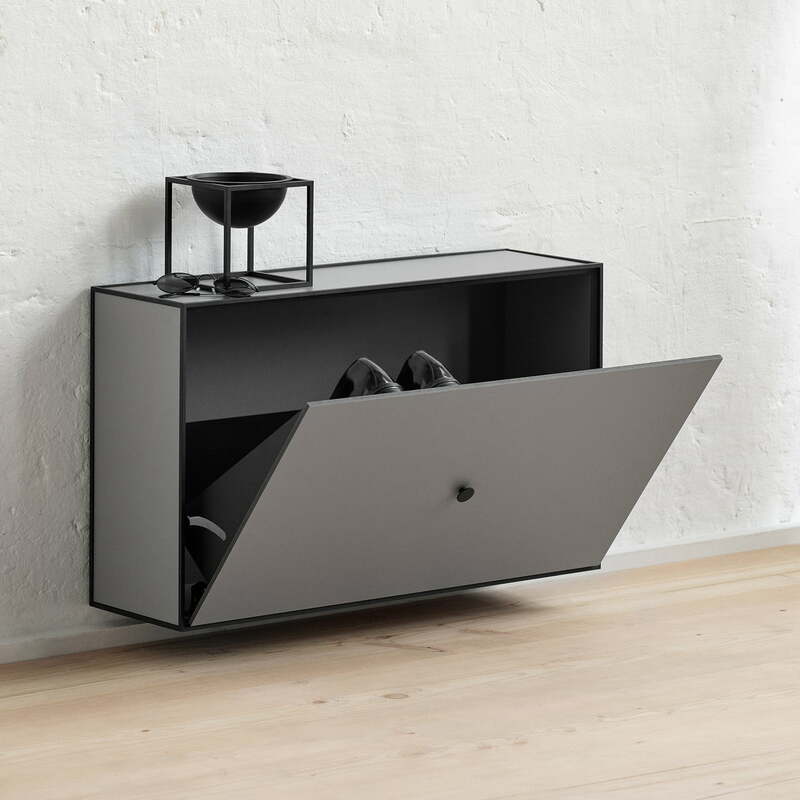 Isolated product image of the Frame shoe cabinet from by Lassen in dark grey. The Frame shoe cabinet from by Lassen is a great addition to the Frame storage units. Lifestyle product image of the Frame shoe cabinet: Available in various colours, a shoe cabinet can be found for every taste, interior style and existing Frame modules. Lifestyle product image of the Frame shoe cabinet: Whether in the hallway, bedroom or dressing room, the Frame shoe cabinet discreetly fits into any environment and is extremely space-saving. 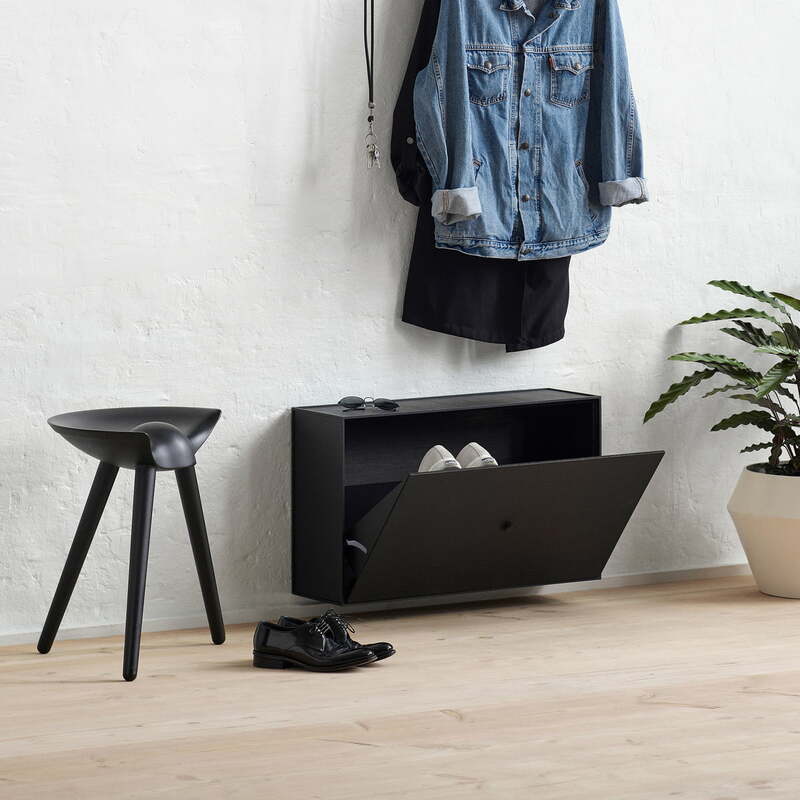 Lifestyle product image of the Frame shoe cabinet: When mounted to the wall, the shoe cabinet takes up no floor space, making it an ideal storage solution for small hallways.